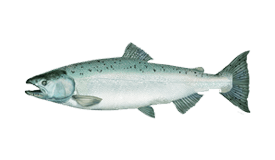 Atlantic Salmon is arguably the most significant gamefish in human history. Anglers dating back to Roman times admired this fish for its quality both in sport and table fare—it was even mentioned in the Magna Carta. Its Latin name salar comes from the word ‘to leap,’ a testament to its incredible fighting power. 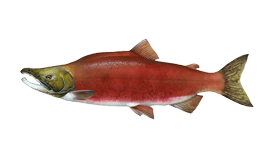 It may surprise you to learn that Atlantic Salmon are more closely related to Trout than the Pacific Salmon species, but don’t let that confuse you: this fish bore the Salmon name first! 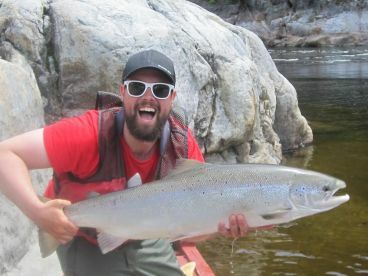 Try Atlantic Salmon fishing for yourself and find out why this fish made history. 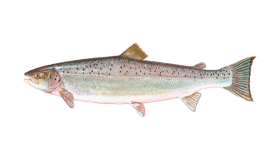 Atlantic Salmon average 28-30” in length and 8-12 lbs in size. Fish that spend more time feeding in the ocean tend to grow larger. 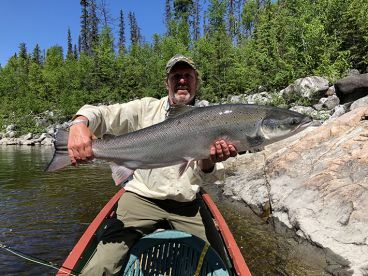 The IGFA all tackle record is a 79 lbs 2 oz fish caught in Norway’s Tana River, but there are unofficial records of Atlantic Salmon weighing over 100 lbs. 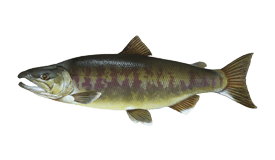 As the name suggests, these fish are native to the northern Atlantic Ocean and its tributaries in North America and Europe. 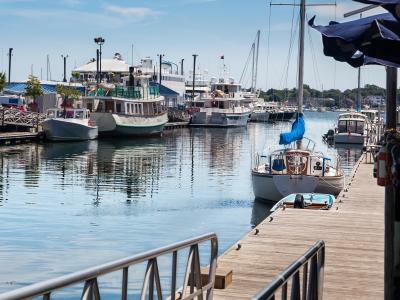 Today, you’ll mostly find this fish between the Connecticut River and Quebec. 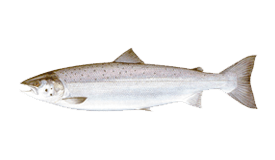 Atlantic Salmon also inhabit the waters around Iceland, southern Greenland, Norway, Sweden, and northwestern Russia. Sadly, many of the original strains in these areas have gone extinct. 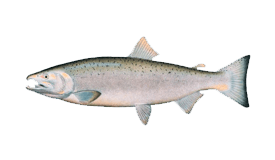 Beyond their native environment, Atlantic Salmon have been introduced to northern Pacific waters and rivers on the north American west coast. 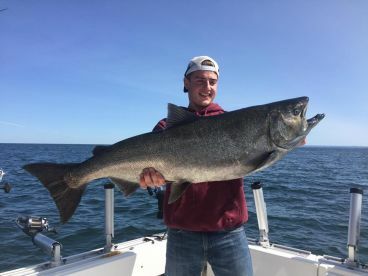 This fish has even been stocked in landlocked waters in New Zealand and Canada, with varying success depending on the water conditions. 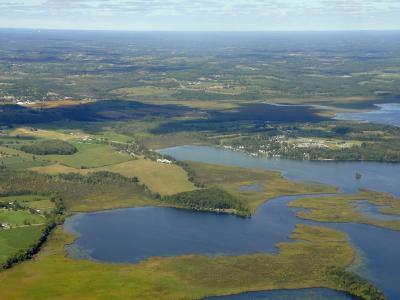 Most Atlantic Salmon are born in rivers and move to the ocean after a few years, eventually returning to the rivers to spawn (usually in two runs). 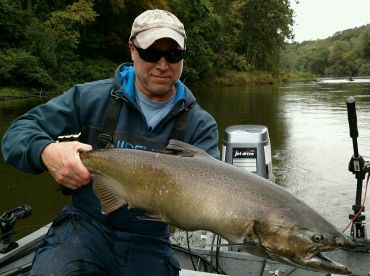 Each river has its own seasonality, but you can expect this fish to appear in the same river at the same time with remarkable consistency year after year. 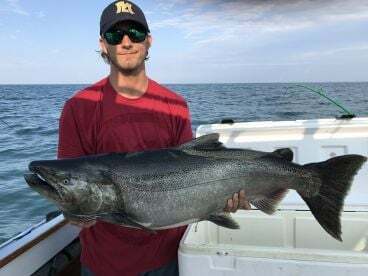 Anglers in north America only target sea-run Atlantic Salmon in rivers. 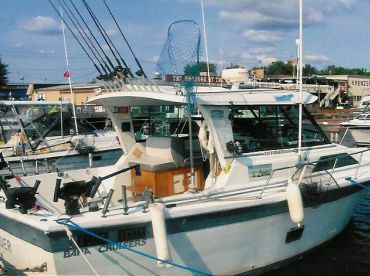 Fly fishing is the method of choice, by law in some places and by tradition in others. You can use wet flies in various sizes and color patterns, or dry flies such as Bombers tied with tightly packed deer hair, in the right conditions. 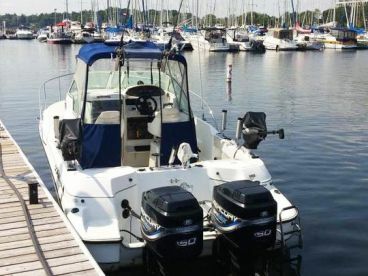 When fishing for landlocked Atlantic Salmon in lakes, trolling is the principal method. Even then, it’s common to use a fly rod (held by hand) and a streamer fly. 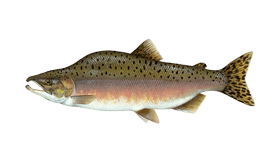 Due to their value in recreational and commercial fishing, Atlantic Salmon populations are greatly reduced in number. In some places, this is considered an endangered species, and conservation efforts are in place in several different countries. 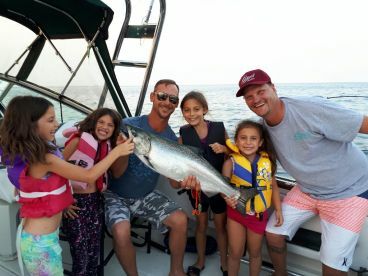 Catch and release is encouraged so that these fish can live to give anglers a run for their money another day!